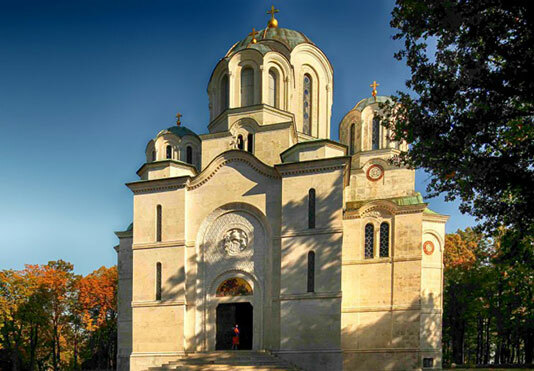 Topola is the small town situated 80 km south of Belgrade. It used to be Serbia's administrative and political center. This is where the first rebellion against the Ottoman Empire took place 200 years ago when Serbia started building a modern State. Karadjordje Petrovic choose Topola as his base for freeing Serbia from the Ottomans in 1804. The fortified city was destroyed in 1877. under the rule of the Obrenovic dynasty. Karadjodje's residence was turned into museum, which desplays his personal belongings and weapons. According to the legend, Topola, the birthplace of Karadjordjevic Dynasty, a small town in the very heart of Sumadija, arose at the crossroad, a place of gathering and wait on, where a poplar tree sprang up and branched. In time, the town of Topola (popular) got its name after this tree. The town of Topola is situated on the slopes of hill Oplenac. The park of Oplenac is under favor of the state, and it covers nearly 87 hectares (pine, oak, ash, lime and Pancic spruce). The region is also famous for good grapes and fine wine. The King's cellar in Topola are one of the famoust. Kragujevac is the Šumadija's largest city located 120 km southwest from Belgrade. Kragujevac was the first capital city of the modern Serbian state. 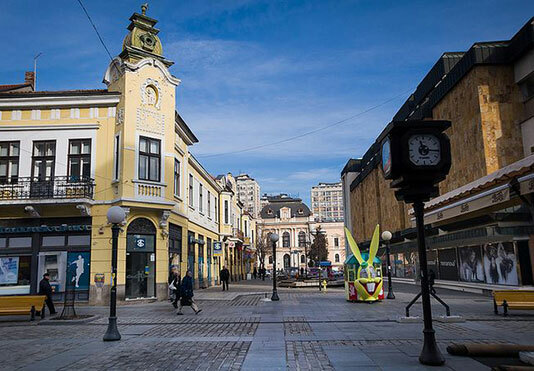 Like many other cities in Serbia, Kragujevac has a spirited pedestrian zone in the city center. The zone begins at the Square at the Cross and leads straight to Memorial Park in Šumarice, the site where 7,000 people were killed during the Second World War. Kragujevac became an industrial power in the mid 19th century. The city experienced tremendous growth when it became the site of an expansive weapons and vehicle manufacturing factory. It is known for its Zastava car factory the only car factory in Serbia. Weapons and hunting equipment are also produced in this factory.